Magnetic jewelry, design your own ring, bracelet or necklace. Loop the chain around your finger, wrist or neck, add one magnet and the chain will wrap itself around the magnet. 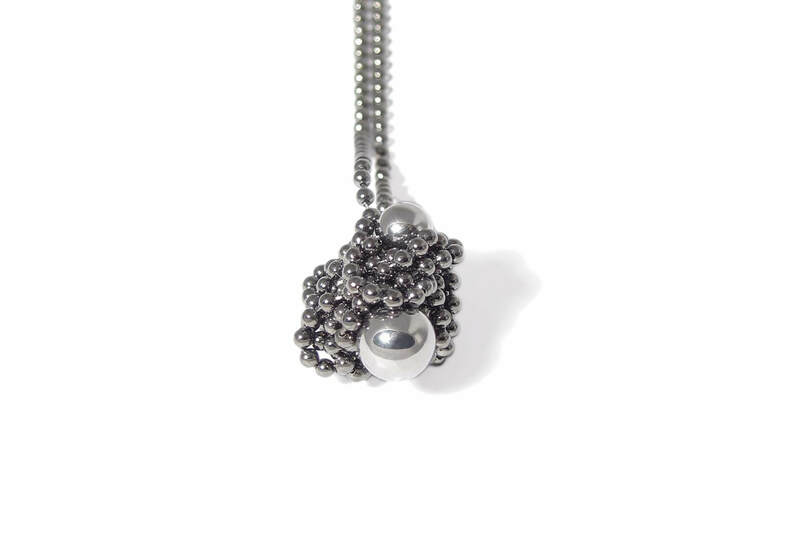 Stainless steel chain, black rhodium plated with steel balls. Iris Weyer is an award winning German designer, she began her career at Niessing and has been producing her own jewelry line since 2009.